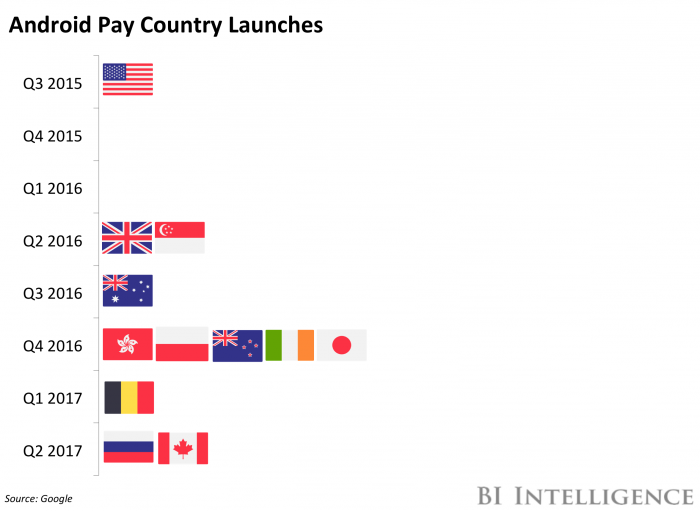 Android Pay, which is currently available in 11 markets, including Australia, Japan, and the US, is seeking to grow its reach in 2017. The wallet launched in Russia on May 24. It counts 15 bank partnerships, including Sberbank, the country’s largest issuer, and other major players like VBR-24 and Alfa Bank.